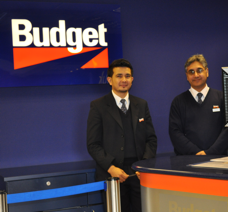 The car hire providers at Luton Airport can be found in the Onward Travel Centre in the Arrivals Hall. They should be clearly signposted throughout the airport. Once you receive your keys your car hire provider will direct you to your car. For the cheapest car hire options you should try and book your car hire online in advance. This way you can make the most of any deals the providers have to offer and relax knowing your travel plans are sorted. Online comparison sites are a great resource if you are looking for cheap car hire from Luton Airport. This is because they can compare all of the providers at Luton in seconds to let you know who has the cheapest offer. Car Hire Centre is an online comparison site that compares all of the providers located at Luton to find out who has the cheapest rental. If you are looking for a quote for car rental at Luton Airport then you can visit them online or call 0844 816 0099* for a quote. Young drivers have a rough ride when it comes to hiring a car. There are so many different regulations and additional charges it can start to get confusing. a student discount to NUS holder so they can save you money. The majority of the Luton airport car hire providers charge a fee called a young driver’s surcharge to customers’ rentals if they are under the age of 25. This charge is mandatory and you will be charged per rental day. The fee is added because of the increased risk young drivers pose to hire car providers. Your original photo card driving license. Paper counterparts wererecently abolished, so you should check with the car hire provider as to whether or not you will need this. You should check with your provider if they require any other documents as all providers are different and have different policies regarding paperwork. When you hire a vehicle you are bombarded with rental requirements, optional extras and additional charges and penalties. Here are a few helpful tips to remember when hiring a vehicle from Luton Airport. if you want to pay now or pay at the location when you collect the vehicle. You should always choose to pay now as it is always cheaper than paying later. receive your car rental keys check the vehicle for any damage. If you find any damage report it to the provider and make sure they document the damage on their formal report. not fill it up with the wrong fuel. all providers have satellite navigation systems so try and request them when you make the booking. Try and return the vehicle on time, late returns may result in an extra day’s rental added to your booking. These are just a few car hire tips you should consider when hiring a vehicle. You should consider purchasing what is called car hire excess insurance for your Luton airport car rental. If your car is damaged or in an accident car hire providers will charge you an excess to fix the car which can cost anything up to £2,000. If you buy car hire excess insurance to cover your rental period you can claim back the car hire excess your provider charges you. For more information please visit Insurance4carhire. Airport Surcharge is the additional fee added to your rental if you collect your car from an airport. Airports are charged for having a branch at the airport so they pass this charge onto their customers. Contact your provider for more information. it means their cars are at different locations all over the country. However, Europcar, National and Alamo offer this service to airport visitors from only £49 with their Airport Connect service. Luton Airport Guide visitors can book Airport Connect with Europcar from £49. The car hire providers at Luton Airport offer a range of different products and extras for a range of prices. You will find more information on this further down the page. Europcar offer brand new vehicles 24 hours a day at luton Airport. 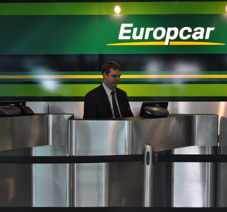 Europcar at Luton Airport is open 5:30am to 2am everyday but can open 24 hours a day, 7 days a week upon request. Europcar offer their customers delivery and collections service for free ( Terms and conditions apply). For more information call 0871 3849900. You must be over 22 to hire a car from Luton Airport with Europcar. Drivers under 25 will be charged £35 per day young driver’s surcharge. Additional drivers can be added to your rental from £13 per day but prices may vary. You can also choose to do one way hire, so you can pick up your rental car at a different destination to where you will drop it off. To request disabled driver services please call 0371 384 3413. Please note that you must request disabled driver controls at least 48 hours in advance. 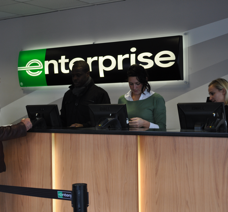 Enterprise Rent-A-Car is a premium car hire brand offering top quality vehicles at low prices. You can book one way hire to or from the airport. Drivers must be over 25 to hire a car with Enterprise in the UK and in some cases the age restrictions may be higher. You will be charged from £10 for each additional driver on your booking and this fee may vary. Enterprise Car have a loyalty scheme called Enterprise Plus. The scheme offers points that you can redeem against car hire. You can hire your car from one location and drop it off at another which is useful for airport transfers. Drivers with disabilities can request adaptations to their hire vehicle as long as you notify them two business days in advance on 01582 390969. Your journey starts when you collect your car hire from Hertz. They will provide you with the ultimate rental experience so you can make the most of your travels. Hertz at Luton Airport is open 7 days a week from 7am until 11.30pm. .
still applies if you are under 25. You can add drivers to your booking from £13 per rental day. There are various services Hertz offer disabled customers. To find out more or book additional features please call 0843 309 3046 – Calls to this number will cost up to 7p per minute plus your phone company’s network access charge. Low cast rental for every type of renter. Whether you are a family, business commuter or a tourist Budget will have a deal for you. The minimum age to hire a car with Budget is 23 years old and drivers under the age of 25 will be charged a young driver’s surcharge of £32.50 per day. Additional drivers cost start from £8.99 per rental day. To find out the options available to disabled drivers and to reserve hand controls please call 0344 544 4646, at least two working days before your hire date. Avis try hard to bring you the best car hire experience at the lowest price possible. You can take advantage of their fantastic seasonal deals all year round to get the best priced car hire possible. 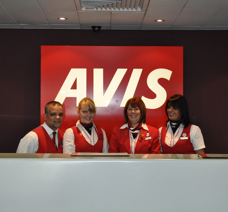 Avis at Luton Airport is open Monday to Sunday from 07:00-23:00 hours. You can return your car any time 24 hours a day, 7 days a week. Avis at Luton Airport allow you to add drivers to your booking from only £12.99 per day. Avis provide their disabled drivers with a range of optional extras to assist with their retal. For more information or to book extras please call 0344 544 6021 at least 48 hours before the start of your rental. Outside of regular opening hours it is possible to book online, via their smart phone app or simply give them a call: +44 (0)844 499 3399. 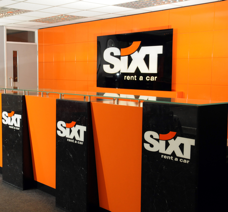 The minimum age of hire with Sixt is 21 years old and drivers under the age of 25 will have to pay a young driver’s surcharge of £36 a day. For different car groups the age may vary. What’s the cost of an additional driver? A charge of £12 per day will be added for any additional driver. This page was last updated in April 2018. Whilst we endeavour to keep this information up to date, do contact us if you are aware of any errors.